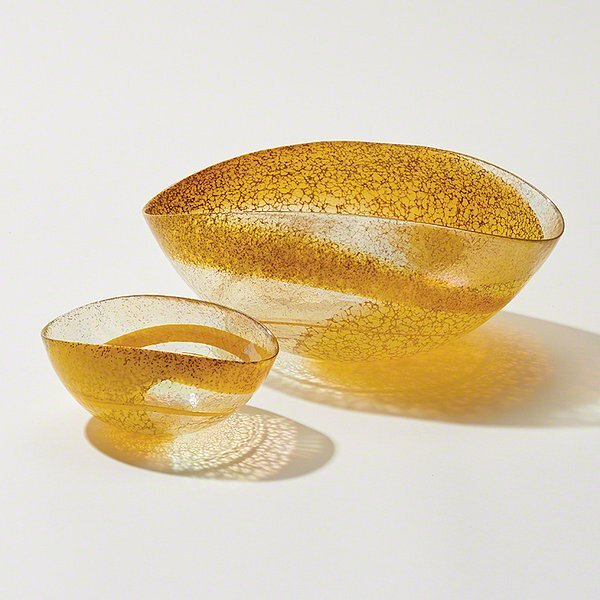 Global Views 3.31269 - Ribbons of yellow and gold dance around our art glass Canary Swirl Charger and Bowls. Offset by clear iridescent whirls, these metallic flecked pieces bring warmth and color to your favorite space. Bowls available in three sizes: Small, Medium, and Large. Shown as a set, but sold individually.